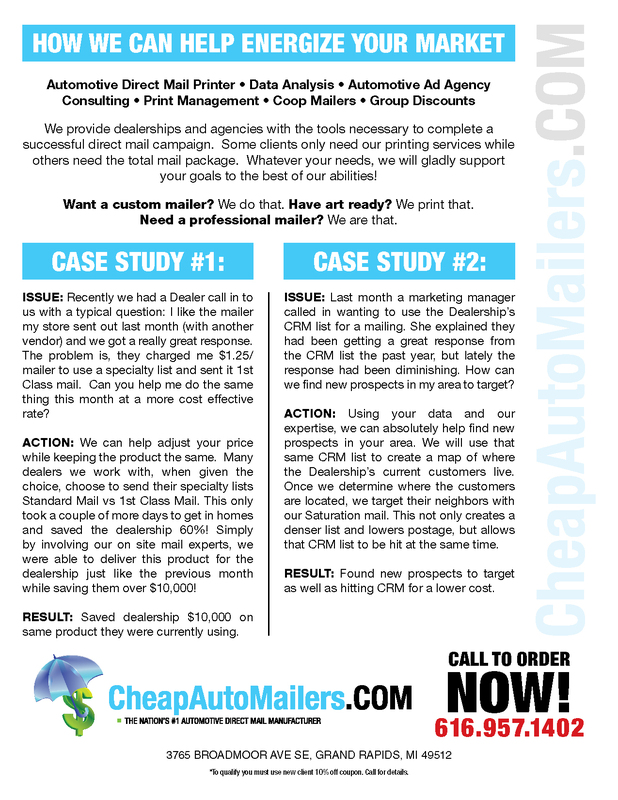 Cheap Auto Mailers is your all-in-one direct mail source - we save our clients on average 40% of their total mail purchase by owning the entire supply chain. 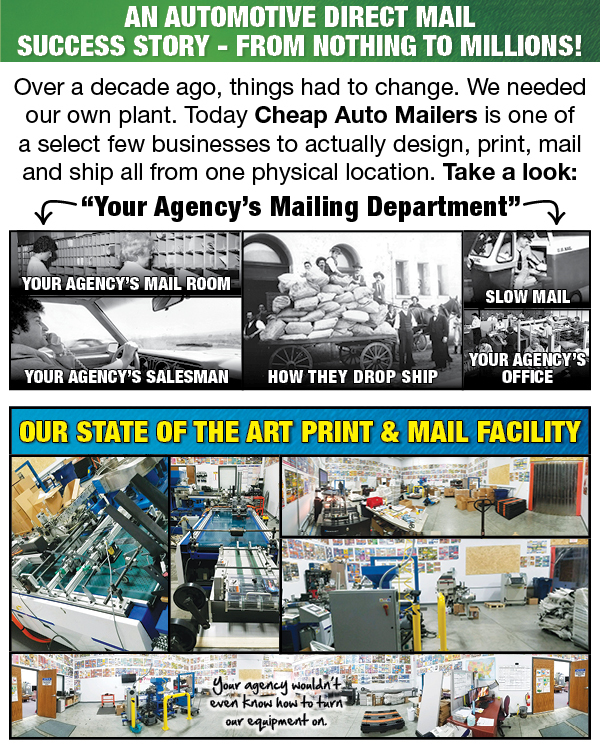 This includes the manufacturing, custom graphic design, data list compilation, printing & shipping all from one location making your mail our number one priority - Credible, Reliable & Fast! Give us a chance to demonstrate how our proven strategy brands your dealership in a positive light leaving a great impression on your community.